The Orioles continue their four game set in Toronto tonight at 7:05 PM. Wade Miley is set to take the mound and he will be opposed by Aaron Sanchez. The Orioles traded Oliver Drake to the Brewers last night. Due to a crowded bullpen, Drake was a likely DFA candidate already and probably has more of an opportunity to pitch at the big league level in Milwaukee. In related news, the Orioles picked up RHP Damien Magnifico from Milwaukee and DFA’d Jason Garcia to make room for him on the 40-man roster. 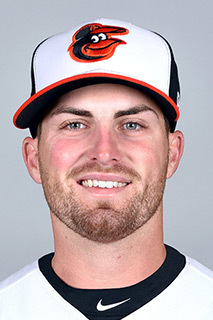 The Orioles also added RHP Stefan Crichton (pronounced crie-ton) to the 40-man roster to take Drake’s place and called him up to the bigs. He was one of the breakout stars in spring training so it’s no surprise to see his name get the early call. The 5th starter mystery is over. Alec Asher has been called up and will likely start tomorrow against the Blue Jays. Although Buck did say that the 5th starter could be a revolving door based on matchup until Tillman returns. That suggests that we could possibly see Jayson Aquino next time around. Kevin Gausman picked up his first win of the season last night. MLB.com has some player quotes and video highlights of last night’s game in this article. Charm City Sports Network wonders why it took the O’s so long to try Trey Mancini in the outfield. Good question. The Orioles can’t win on home runs alone opines Rich Dubroff for Pressbox. The Blue Jays are off to their worst start ever. Let’s keep it going tonight.